We are very proud to carry gowns in all shapes and sizes. Our section is very extensive and covers the latest trends and designs. Nothing is more beautiful than a bride feeling confident and radiant, and nothing makes a bride feel more stunning than a perfectly fitting wedding gown. No matter your body shape or type, your dream wedding dress awaits. 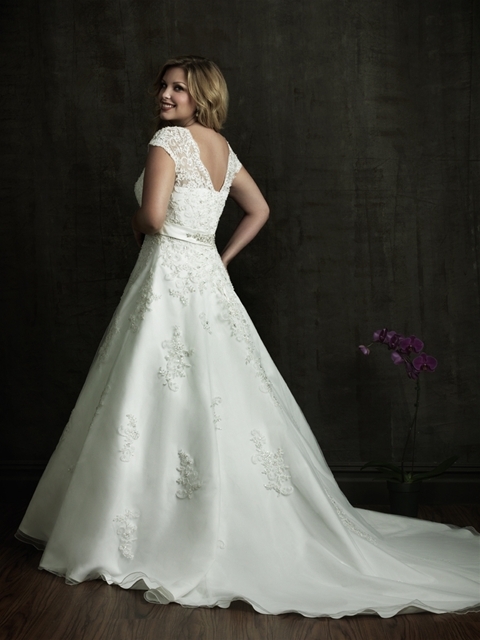 See some of our favorite plus-size wedding gowns below. We carry Allure, Essense of Australia, Maggie Sottero, Mori Lee, David Tutera, Sophia Tolli and many more.